Glory Banda was born in Malawi. She was also born deaf. Soon after her parents realized their child couldn’t hear, her father divorced her mother. Glory’s mother, desperate and brokenhearted, returned to live in her parents’ home. A child, who should have been a blessing, became the source of grief and pain. Glory’s mother and grandmother eked out a living selling charcoal and tomatoes at the market in Mzuzu, in northern Malawi. Most days the little girl was left at home out of shame that she could neither hear nor speak. Sometimes she was locked indoors in fear that something would happen to her. Only occasionally did Glory play with other children. But because she could not communicate, the other children ostracized her. Most Malawian children with disabilities face a grim future, especially those who have hearing impairments. Of the estimated 200,000 people with hearing disabilities in the country, 98 percent are illiterate; only 2 percent have jobs. And yet, there are only six primary schools for children who are hearing-impaired. Only an estimated 3 percent of children with hearing disabilities even attend school. There are many reasons for this: The cost is too high, schools are too far away, the family can’t afford transportation, the child is not accepted into a special school, there are not enough specially trained teachers, the family is ashamed and hides the child, or the child is ashamed and afraid of being teased. One Sunday morning, though, hope came to the Banda family. Glory’s mother attended worship in Mzuzu at a prayer house that was part of the Church of Central Africa Presbyterian Synod of Livingstonia (CCAP Livingstonia). 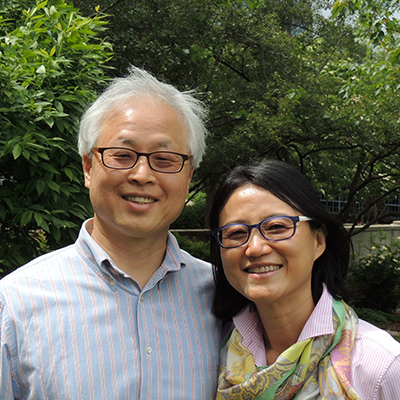 CCAP is an international church partner of the Presbyterian Church (U.S.A.). During worship, it was announced that assessments would be done at Mzuzu Central Hospital for children with hearing impairments. Glory’s mother took her, and she was picked to start first grade at Embangweni Primary School for Children with Hearing Disability, about 80 miles from Mzuzu. It takes a village to raise a child. Or so the saying goes. But a village is not enough to raise children with disabilities in Malawi. For them, it takes the global community working together to address the challenges they encounter. And such a community has taken up the challenge at two boarding schools for children with hearing disabilities. These schools are the Embangweni Primary School for Children with Hearing Disability — serving around 200 students annually — and the recently established Embangweni Secondary School for the Deaf, which currently serves 50 students. Both schools are tucked away in rural northwestern Malawi. In 1994, CCAP Livingstonia pastor the Rev. Lloyd Tembo and teacher M.B. Hara, together with American Presbyterians Tom and Jocelyn Logan, had a vision of the Embangweni Primary School for Children with Hearing Disability. Twenty years later, American Episcopalian the Rev. Robert Davenport and his wife, Lizzy Allen, followed suit with the vision to open another school for the deaf — the Embangweni Secondary School for the Deaf. The secondary school, composed of a classroom building and boys’ hostel, opened in 2015 with 20 students. The 10 secondary school girls stayed in the primary girls’ hostel until their own hostel was completed. 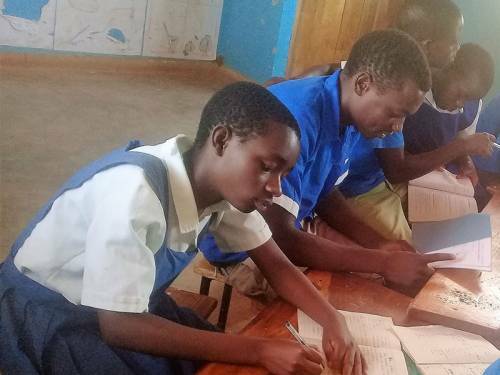 The two schools are operated in partnership between CCAP Livingstonia and the Malawi Ministry of Education, Science and Technology, which provides trained teachers and operating funds for the schools. For example, the primary school currently receives $267 per month from the Ministry of Education to pay 12 teacher salaries, feed about 200 students and maintain school infrastructure. The funds are not enough and so the teachers use a little creativity to generate the income needed to keep operating. Embangweni Primary School received permission in 2017 to clear five acres of land and plant maize and soybeans. The maize is shelled and ground into flour at the school’s maize mill, which — for a fee — also serves the needs of local families. The school also raises income by renting its oxen team and cart to local farmers and by raising chickens and pigs. In addition, students’ families are asked to provide a bag of maize and money for their child’s medical care as their contributions to the school. In addition to the creative ways to raise money, the schools rely on individuals and congregations to help feed the children and to assist with the costs of transporting children three times a year back to their homes across Malawi. Glory Banda has been one of those children. Now 17, she is preparing to take exams to continue her education. Her goal is to become a teacher so that she can pay forward the blessings she has received. Yes, she was born in Malawi. She was also born deaf. But those who had a vision for schools for the deaf are showing children like her that disabilities can be overcome. Nancy Collins is the Presbyterian Mission Agency’s regional liaison for East Central Africa, supporting relationships with partner churches in Zambia, Malawi, Kenya and Rwanda. Mission co-worker in Hong Kong.